How many times have you heard members report that they have removed or hidden their offers because they “have too many Talents” and can’t find anything to spend them on? In other words, they are now inactive and have decided to defer their claim against the community until “the community” offers something worthwhile. While this is perfectly understandable, and it certainly is demoralising to provide items or services of real value and then find that many members are not reciprocating, it creates a vicious cycle to the bottom. If everyone says “I’m not going to advertise anything until there is something worthwhile that I can get” then clearly there will never be anything worthwhile to get! How do we break out of this Catch 22 situation: everyone withholding their offerings until there are more interesting offerings? The first is obviously for everyone to add a real, valuable offering and to take their offerings seriously. This will create a virtuous cycle to the top. However, instead of throwing your valuable offering open to everyone, you can state that you will only provide to those who have equally valuable offerings. Refuse to provide to those who have no offerings or meaningless offerings. Refuse to provide to “takers” who are heavily in debit and have provided little. If you have a valuable offering that everyone wants, you can make it clear that you are only providing or releasing it at the same rate as you can find things to purchase. Therefore it is first-come-first-served, the offering is only valid for a limited time or that you are only going to provide it in limited quantity. Log into your account every day and check the latest offerings. The best offerings come and go very quickly. Offerings can last for just a few hours, so never get displayed in lists like the one below. 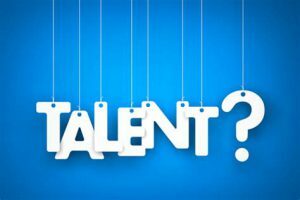 If your offering is for Talents-only, and someone whose offerings are a Rands/Talents mix requests what you are providing, either make it clear that you only provide to those whose offerings are also Talents-only or that you will provide what you are offering in the same Rand/Talent ratio as their offerings. Another way to break the cycle is to advertise your offering as both a want and an offering. Say, for example, that your offering is computer lessons and you want someone to come and tidy your garden: you could advertise your offering as a swap offering requesting someone to tidy your garden, and as a want requesting garden tidying services for computer lessons. This way you are more likely to get what you want even if no one is offering what you are looking for. The Wants function tends to get forgotten but it is a useful way of getting what you want even if you do not see an offering for it. So don’t be put off by the lack of “useful offerings”. Advertise a Want to see if someone can provide what you are looking for and use the swap, barter and gifting options for advertising both your wants and offerings.